Today’s article concerns the Dream League Soccer 2017 guide. if you have listened to my advice, you will have already tried and played it several times, perhaps by reaching one of the major series. However, if you are experiencing some difficulty in forming your dream team, or just want a few tips to play to best, keep reading this guide, you may get some useful information. The first advice to follow to lay the foundations for a good career in Dream League Soccer 2017 is the construction of its own starting team. As soon as you start the game you will be asked which player to choose as a captain to give you an initial bonus. From my personal experience I recommend choosing an attacker as in Dream League Soccer 2017 it’s crucial to score a lot. Each goal scored is equal to a coin gained, then more goals equals more coin. By doing so your attacker will have that little bonus that will serve to win the first challenges in speed against the defenders NPC opponents. The next step is to buy another promise for your team, with the small initial donation given to you. For the same reason that i have just exposed you, i recommend you buy another good striker, the best you can buy with the money you own. If the coins are not enough you sell another player (the attacker you want to replace maybe). With a good pair of strikers, at least for the the first stage of the game, you can approach your league without problems. After the first matches, the first wins (or defeats, depends on your skill, is not a simple manager, you have to put yourself), you will begin to understand the dynamics of play. I will not tell you what the best tactics to use, since in my opinion it is a completely subjective matter. Your best tactic to use is one where able to find all your players in the right location at the right time. So take the test until you find the tactic you prefer. Of course also considering the possible challenges in multiplayer. In this case you also have to consider the opponent’s tactics, strength and skill, but do not go far beyond your ideal tactics, it could be counterproductive. Continuing in the game, we will earn coins that we can use to buy new players or develop the skills of their own team players. In this case, my experience leads me to advise you to wait to buy new players and not to develop the ones you have. This way you can earn enough money to buy talented players. Maybe waiting a little while longer you could find Messi or Cristiano Ronaldo on the market, these together with many other real names will not always be present. When you buy a player, always select the role where you feel more exposed and have greater difficulty to cover during the game. In part it could also be a tactical problem and not the player itself, so pay close attention, and change the player only after doing some further testing. Otherwise, you may find yourself having spent some good moneys for a totally useless player. Only when you have finished creating your ideal team, start training your players. 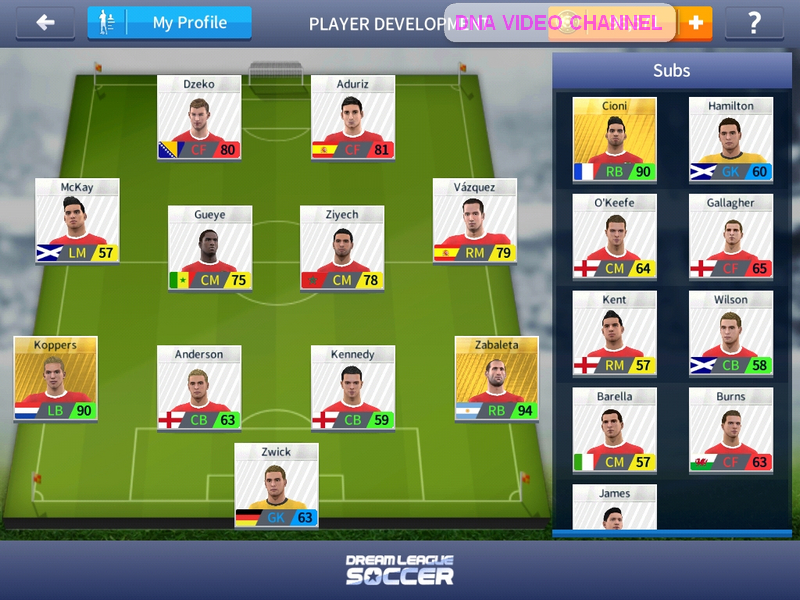 In this way you can improve its features and complete your dream team. 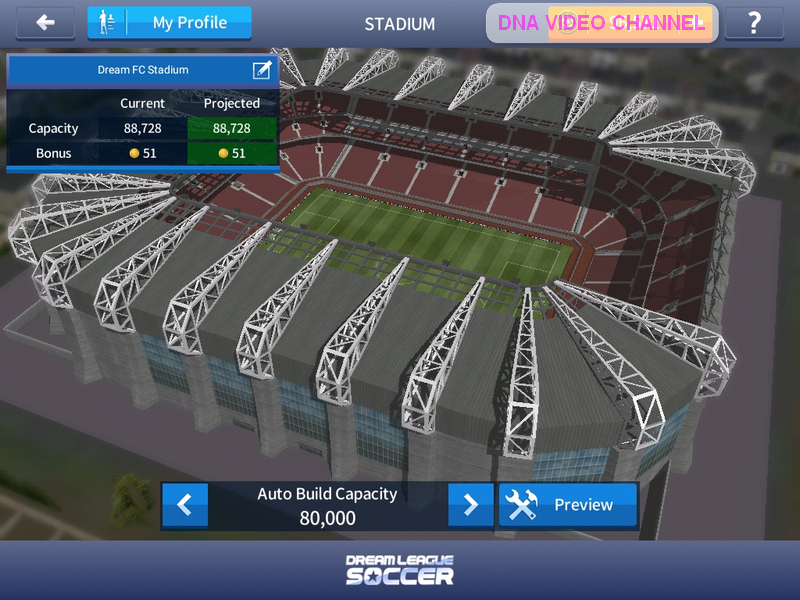 Dream League Soccer 2017 Guide – Team or Stadium Development? The stadium in Dream League Soccer 2017 has a purely coin-earning role. By developing the stadium, you will increase the amount of coin you earn when you play at home. A bigger stadium will provide a greater bonus. So it is logical to try to develop the stadium as soon as possible. Develop it, however, it is expensive, which means less coin to spend on buying players. Hence amletic doubt, expand or not expand the stadium? My choice is to try to keep balanced both expenses. Expand the stadium when you reach a decent level with your team that can win games of your division. You will have the ability to recover more from the stadium bonus and not risk losing those arising from victories. 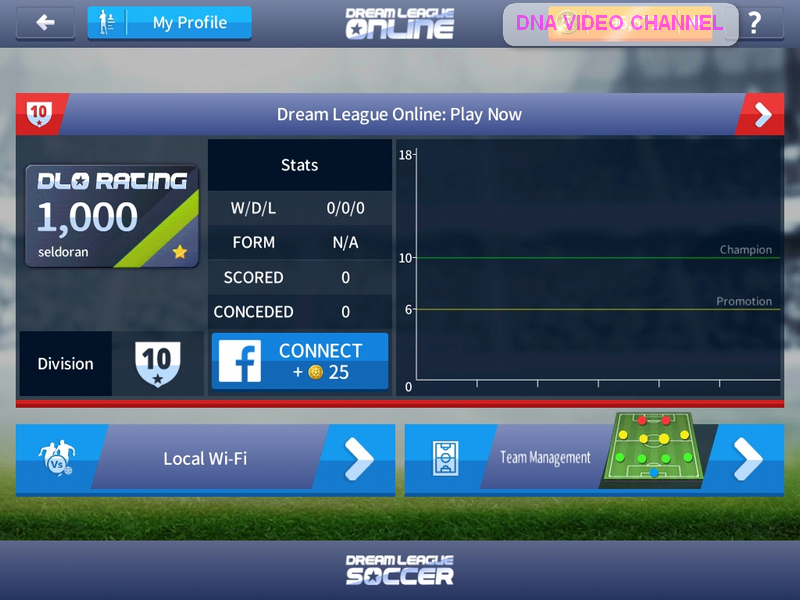 In Dream League Soccer 2017 there are two multiplayer game modes. The classic online game where you will deal with other players around the world and the multiplayer for those who share the same wireless connection. In the first mode there is not much to say, just passing the first matches against NPC teams to unlock it. The second mode instead is very interesting. If you have a wireless connection at home and want to play against your friends, just give other players access and you can play without consuming data. There is no direct connection method between two devices to play, but if you have a third friend who offers you his device in tethering mode, you can play it using this device as a wireless modem. So in summary, a mobile device will be the wireless router by enabling tethering mode. The other two devices, to be used for the clash, will connect to this device as if it were a normal wireless network. During the game, your device turns into a game console. On the left, there is a kind of joystick that allows you to move your player. On the right, you find the buttons A, B and C as in the figure. Personally i have verified that the short passage is much more accurate than the high pass, so prefer this kind of passage if you want to keep the ball control and continue the action. To take the ball off the opponent, follow the player using the lightweight contrast, avoid punishments and especially at the beginning, you will not have the trouble to take the ball off to your opponents. Avoid tackle, it often turns into a punishment for opponents. In Dream League Soccer 2017 however, the commands do not end up in the list just listed. In the figure above i highlighted an area with a red circle. In that area if you drag your finger in a certain direction you can have tricks like real champions. Not all can be used from the start as it requires a ball control of at least 80. To run them, you need to slide your finger over the area above the passage and shot buttons, appropriately. First step, swipe your finger from left to right and quickly press the B button. Finish, swipe your finger from left to right and immediately after a tap, depending on when you do the combination you will get different results. Many of the elements of the guide just viewed, are about choices and game modes to create your own team without any special tricks. For those who do not have the patience to wait for the top, around the net there are dozens of tricks or modified apk that allow you to get infinite money. Honestly I did not even try to check whether these methods work or not, partly because i do not trust to install on my tablet apk of unofficial, unless you come from certified software houses. If you think of it as me, you know that the Cheat Engine, which i often spoke on my blog, allows you to get the same result. In particular, you can follow two possible ways. If your device has active root mode, you can install Cheat Engine apk directly on your device. You will say that it is always an unknown apk, but in this case i know the software by a long time and i m sure that it does not contain any malware. The second mode, for those who do not even trust their shadow, is to use an emulator like Nox or Bluestacks, modify coin values with Cheat Engine, and copy the savegame from the emulator to your device. where i show how to use Cheat Engine on Android games with NOX emulator. where the emulator used is instead Bluestacks. I gathered in this guide my gaming experience and tricks I’ve learned playing. It is certainly not a bible, because each of us has his own way of playing, but for those who have less confidence or gaming experience, definitely provides a basis from which to start. If you have something to add or some questions to ask, just write to me in the comments. Share the article with your friends and subscribe to my pages and to my YouTube channel. It costs you nothing, but for me it is an incentive to keep the blog active.